NAMM 2019: IK Multimedia iRig Micro Amp Announced! HomeNewsHardwareAudio & MIDIIK Multimedia Introduced iRig Micro Amp For Mobile Musicians! 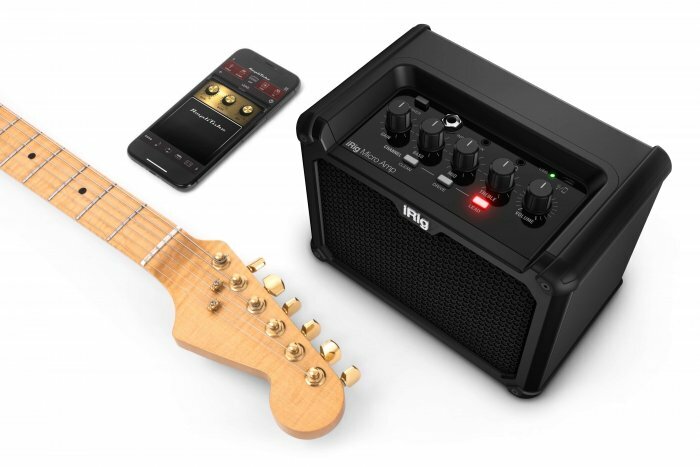 IK Multimedia Introduced iRig Micro Amp For Mobile Musicians! Amplifier Meets Audio Interface In A Battery Powered Device! IK Multimedia has announced for NAMM 2019 the new iRig Micro Amp, a new battery-powered amplifier and mobile audio interface. It’s not only compatible for PC & Mac but also with iOS devices what makes it very portable. An interesting new product for mobile musicians! January 21, 2019 – IK Multimedia debuts iRig® Micro Amp, a battery-powered, ultra-compact combo amplifier with three on-board analogue channels plus a high-quality digital interface for direct connection to iPhone, iPad, Mac and PC. This allows users to expand their tone palette by unlocking a variety of amp and FX models in the included AmpliTube software/app bundle, as well as connecting to their favourite apps for learning, recording and playing. iRig Micro Amp also offers powerful sound that rivals larger amps, plus the ability to connect to external cabinets for even more volume. 1 x 4” speaker for fuller sound. 15W RMS, as loud as amps twice its size. 3 analog channels: clean, drive, lead. Low, mid & high EQ and gain controls. Headphone output for silent practice. Aux input to connect mp3 players. 4 Ohm cabinet out connects to larger speakers. Connects to iPhone, iPad, and Mac/PC. 24-bit, 96 kHz quality for professional sound. Unlocks 10 amps & 26 stomps in AmpliTube CS for iOS. 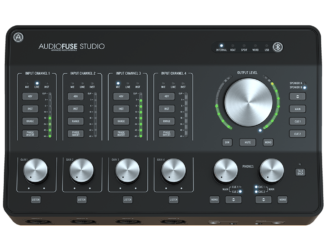 Includes AmpliTube 4 for Mac/PC for 9 amps, 10 stomps. Use with all your favorite apps. IK Multimedia iRig Micro Amp will be available in March from the IK Multimedia online store and from IK authorised dealers worldwide for $/€ 149.99 excl. VAT. 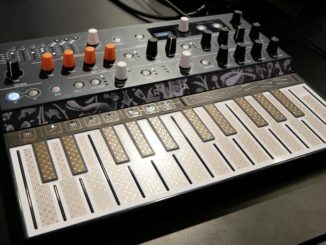 New Elektron Machine Is Coming For NAMM 2019! 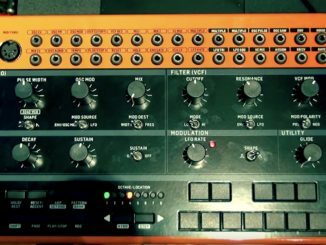 Behringer CRAVE Synthesizer Is Semi-Modular Analog, Portable & Features A MIDI & CV Sequencer For $199!